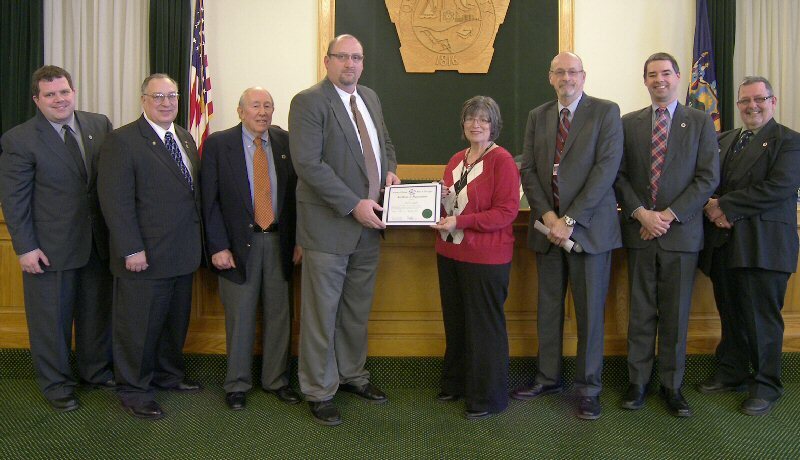 OSWEGO, NY – The Oswego County Legislature’s Human Services Committee recently presented Silvia Langdon with a certificate of appreciation for 30 years of service to the county. Langdon is a senior employment specialist with the Oswego County Department of Social Services. 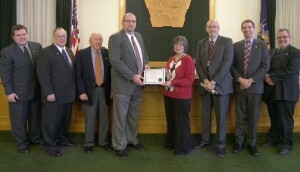 Pictured from left are legislators Daniel Farfaglia, District 24; Committee Vice Chairman Ronald Sakonyi, District 5; John Proud, District 7; Committee Chairman Kevin Gardner, District 13; Langdon; Oswego County Department of Social Services Commissioner Gregg Heffner; Shawn Doyle, District 3; and Douglas Malone, District 20.